Working in a sales environment, it’s easy to get carried away with the fast-pace chaos and as recruiters, it’s our natural instinct to charge in and get things done straight away. However, when it comes to creating your recruitment plan, it is really important to take a step back and think about your next steps. Now you’ve taken a complete job brief, it’s time to think about what your options are and what you’re going to do in order to find the perfect candidate. 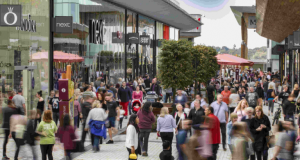 So many people just rush off and crack on with searching their database without taking a moment to sit back and really consider where the perfect candidate may be, the different search options available and any difficulties you may come across along the way. By identifying these things, you have a planned structure to work with. It is absolutely essential that you have formalised all logistics with your client. Ensure you understand the preferred interview structure, salary package and offer process and illustrate this in your plan. I always encourage the recruiters I work with to write their recruitment plan as soon as they have spoken to the client as it’s still fresh in their mind and they are less likely to miss anything out. The recruitment process is a journey and it’s inevitable you will come across some hurdles along the way. To avoid tripping up, you should think about how you’re going to fill the job; how quickly do you need to fill it? When do you need to have interviews completed and offers out? Clarifying this with your client will help you avoid early stage hiccups and strengthen your representation as a professional, reliable recruiter. Think about your candidate sources. Are you relying on your own database? Perhaps you could utilise advertising tools or referrals from previous clients or candidates? The reality is there are lots of candidates out there but there are very few good candidates. That’s the distinction you need to make. I always create a timeline to follow whenever I’m recruiting a new member of staff. 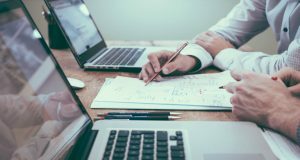 Work with your client to create a time scale and discuss action points to accompany this – I suggest beginning with the client’s ideal starting date and working backwards. Agreeing on activity milestones will enable you to illustrate your achievements during the journey and is also a great way to develop your relationship whilst hitting milestones together. Once you have set out your plan, I would always suggest you share this brief with them – this will give the client a chance to add in anything you’ve missed. It will also show that you understand the opportunity on offer and confirms the key points discussed. This will also help you to stand out amongst other recruitment consultants working on the same brief as part of the clients PSL. Remember, clarity is key when it comes to recruitment. Your client wants to feel like you know what you’re doing and that you are in this together. The recruitment plan is essential to successfully placing the right candidate. I can’t tell you how many recruiters I’ve met who skip this step, go in all guns blazing and fall at the first hurdle. The moral of the story is, remember to pause for thought and allocate time to really think about your options. Recruitment is all about strategy; strategically taking the right steps towards the finishing line. 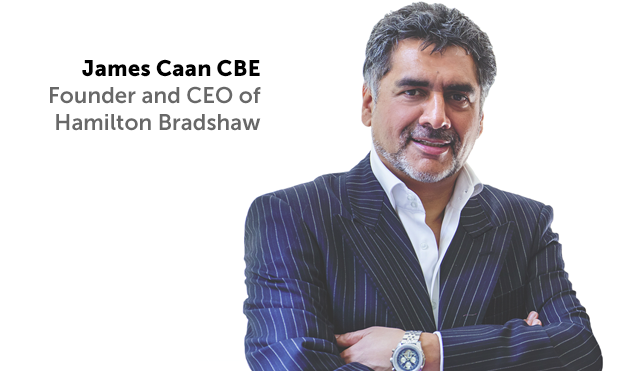 James Caan CBE is one of the UK’s most successful entrepreneurs. He made his fortune through the global success of his Recruitment companies, Alexander Mann and Humana International, before founding private equity firm Hamilton Bradshaw based in Mayfair, London. He is best known for joining the panel of the hit BBC show Dragons’ Den and The Business Class on CNBC. A passionate supporter of small businesses, James recently stepped down as chairman of the Government’s Start Up Loans scheme, which provides funding and mentoring to budding entrepreneurs. James is a keen supporter of many charities and set up The JCF in 2006 predominantly to help underprivileged children get access to education.